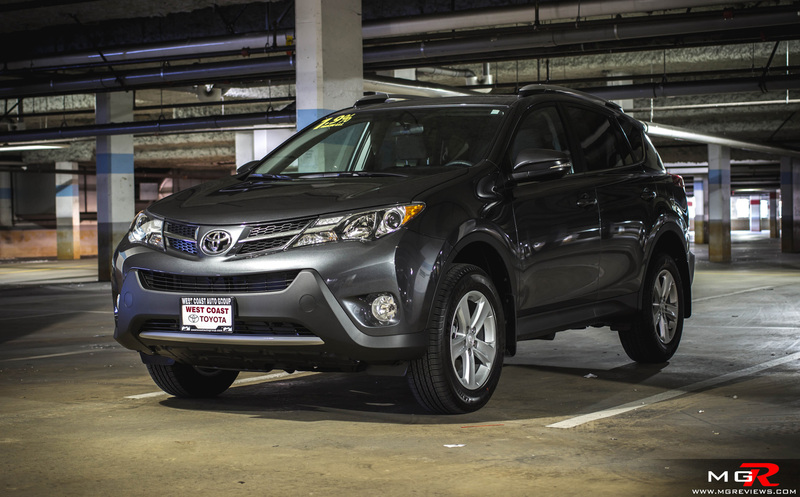 Performance – The Rav4 is available with one, and only one, engine which is a 2.5L inline-4 that puts out 176hp and 172 lb-ft of torque. Those figures are right in the middle when compared with its competition from Mazda and Nissan for example. 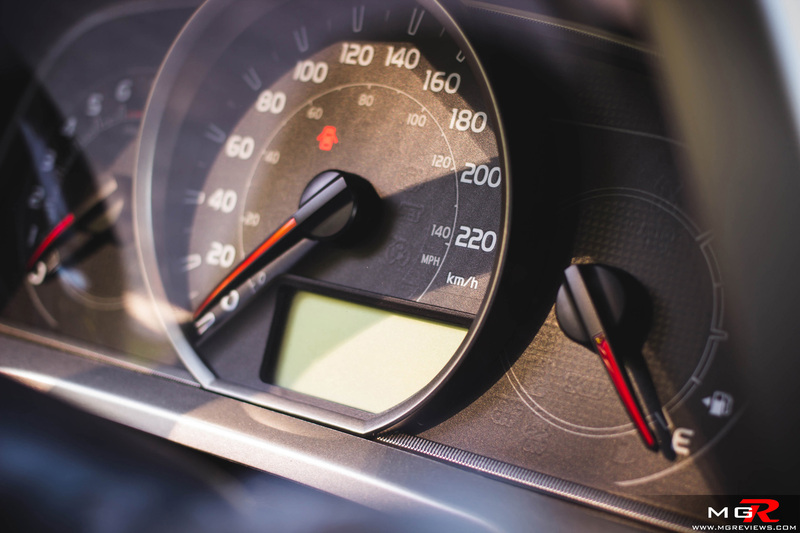 Also like the Nissan Rogue and Mazda CX-5, the engine’s power is sufficient enough to get the CUV moving and continue to pull it along during highway overtaking or passing over mountain roads. 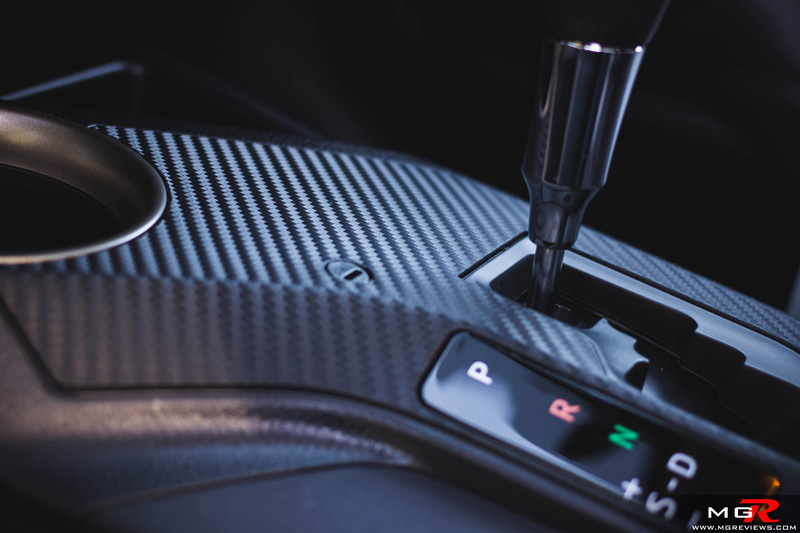 Doing the job of managing the power is a new 6-speed automatic transmission. The previous generation’s 4-speed auto is gone and this 6-speed is, just like the engine, the only option for shifting gears. 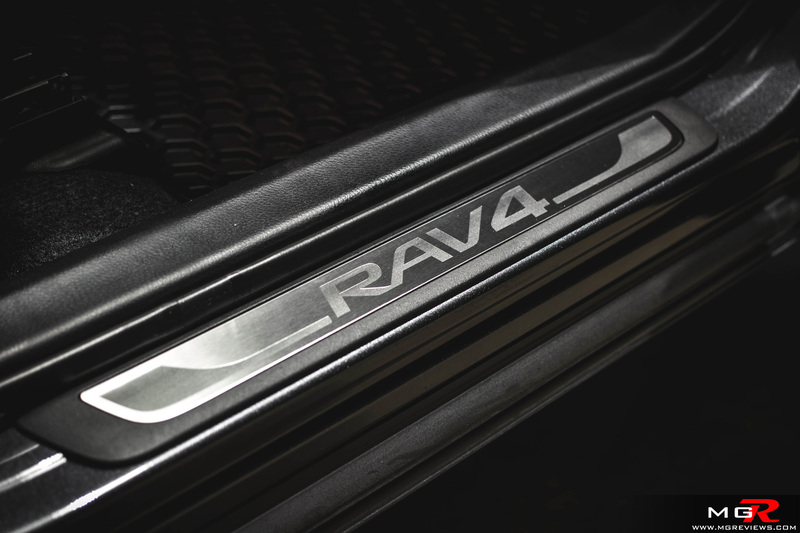 During normal driving conditions, the transmission is buttery smooth but during a few occasions when climbing steady grades, it can’t decide which gear it wants to be in and continuously shifts up or down. It’s not a broken transmission or anything like that, it’s Toyota’s programming for maximum fuel efficiency that causes it to do this when climbing steady grades. 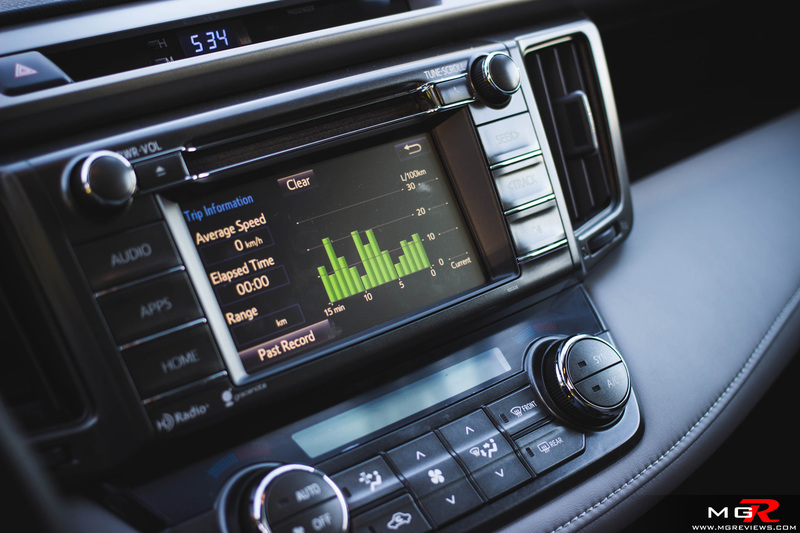 This can be overcome by setting the Rav4 into “Sport” mode which holds the shifts for a longer duration and sharpens the throttle response but in this mode fuel economy takes a hit. 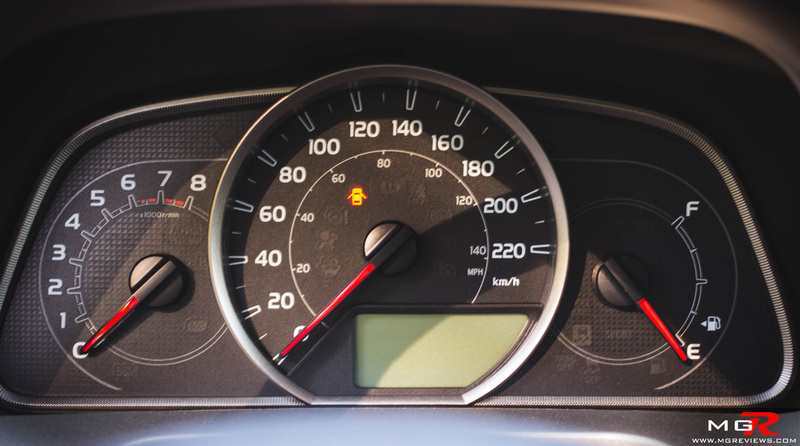 There is also an “Eco” mode that is designed to get the most out of every drop of fuel that gets burned by the engine. 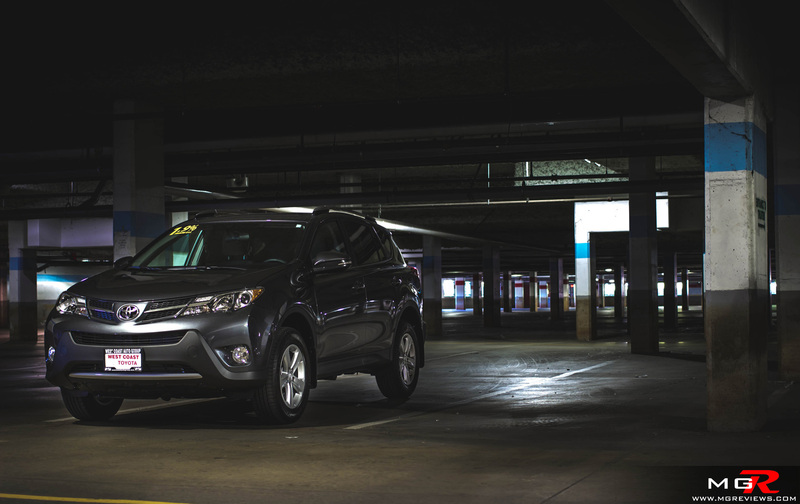 In Eco mode the Rav4 manages a fuel rating of 8.7L/100km in a city and 6.4L/100km on a highway. 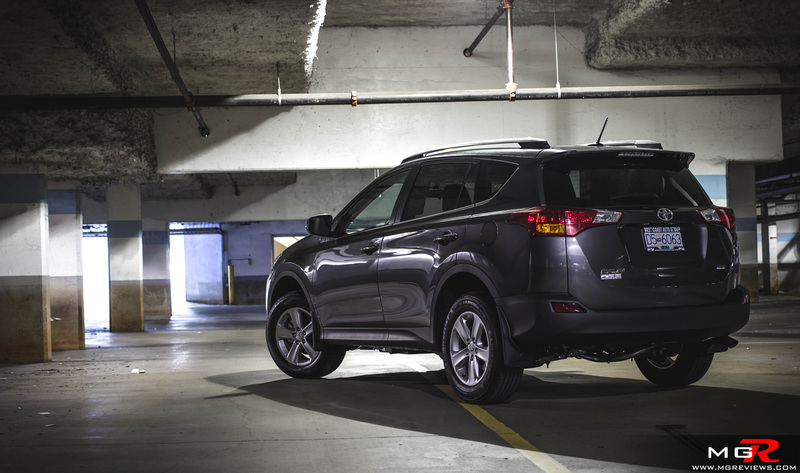 One area where the Rav4 falls short of its competitors is around twisty roads. For spirited driving, no other CUV in this price range comes close to the driving dynamics of the Mazda CX-5. 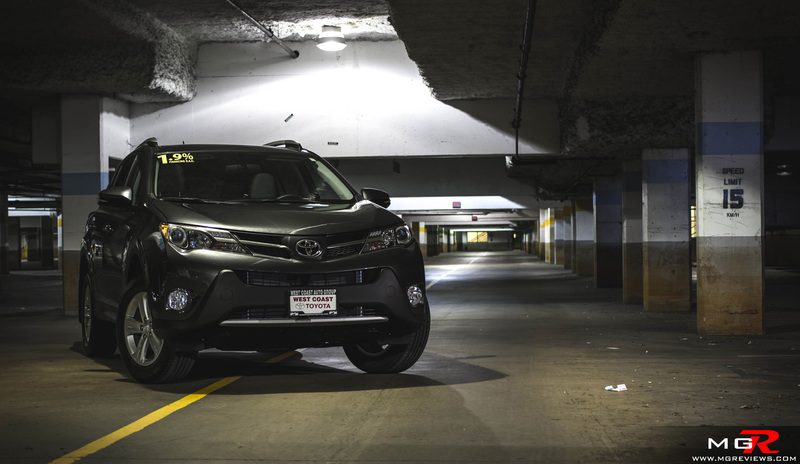 This Rav4 feels like it’s almost the complete opposite with soft suspension that allows for too much body roll around corners and brakes that feel more at home on a Toyota Echo. 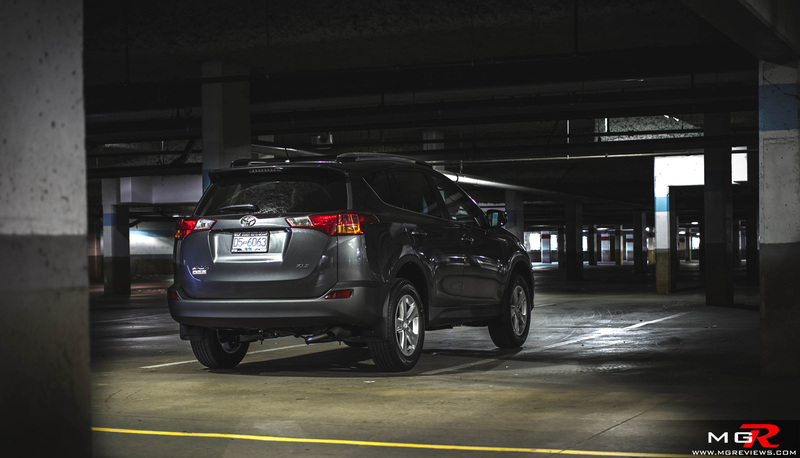 However if comfort is all that you’re after, then the Rav4 should fit your perfectly. 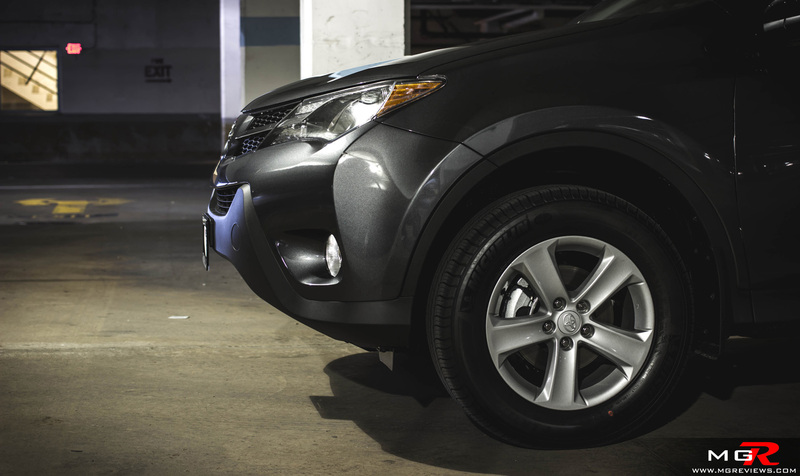 Also should the journey take you off the beaten path, the Rav4 is available with an on-demand all-wheel-drive system for better traction on less than desirable road surfaces. Comfort – There is an advantage to soft suspension, however, and that is a soft ride. Apart from driving over boulders in the middle of a forest, the suspension of the Toyota copes well with city streets and most dirt roads. It is also a quiet and refined cabin that allows minimal road and wind noise to intrude inside further making for a quiet and relaxing atmosphere for the driver and passengers. 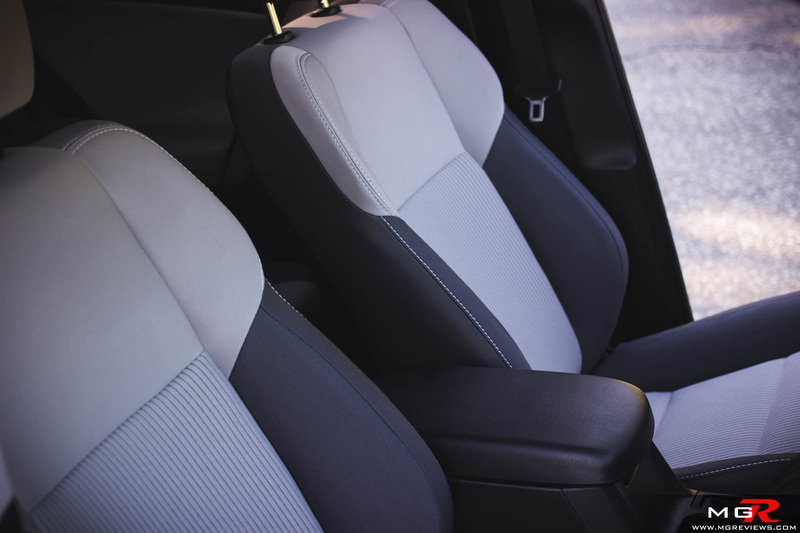 Space inside is adequate for all occupants whether sitting in the front or back seats. A third row of seats is not available but the nearly 1100L of cargo volume (seats up) is among the top of any its competitors. This XLE model features soft leather-like center dash with stitching but the rest of the dash and center console is traditional plastics made to look like other materials such as aluminum or carbon fiber. 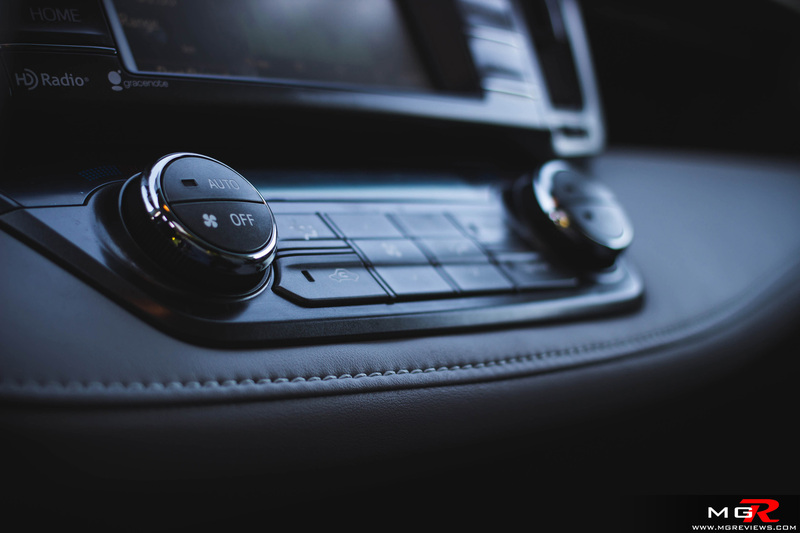 The design however is aesthetically pleasing to look at and the buttons are laid out in such a way that the more used features are clearly visible but others, such as the heated seats or sport/eco buttons, are in a less prominent place. 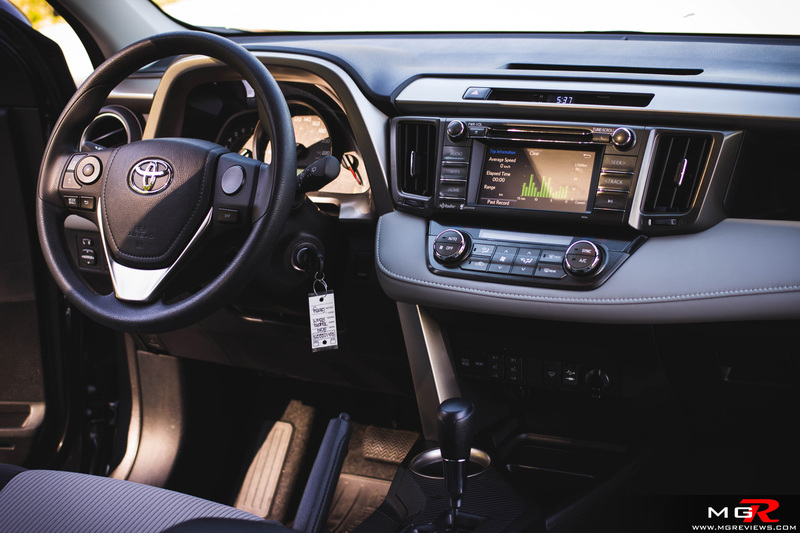 This XLE model is also nicely equipped with a reversing camera, dual zone climate control, and a 6.1” touch screen with satellite radio and apps to keep track of your fuel consumption on the go. 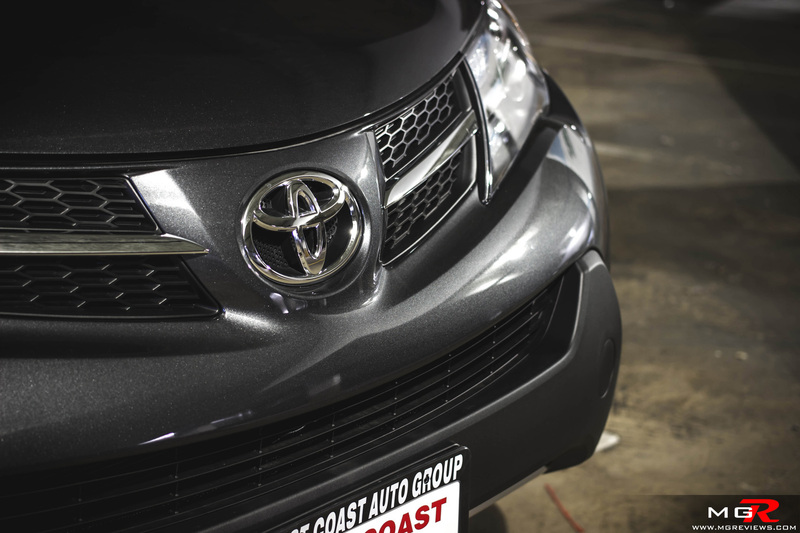 Opt for the top of the line Limited model and satellite navigation along with Lane departure warning, Blind spot monitoring, and Rear cross traffic alert are available. 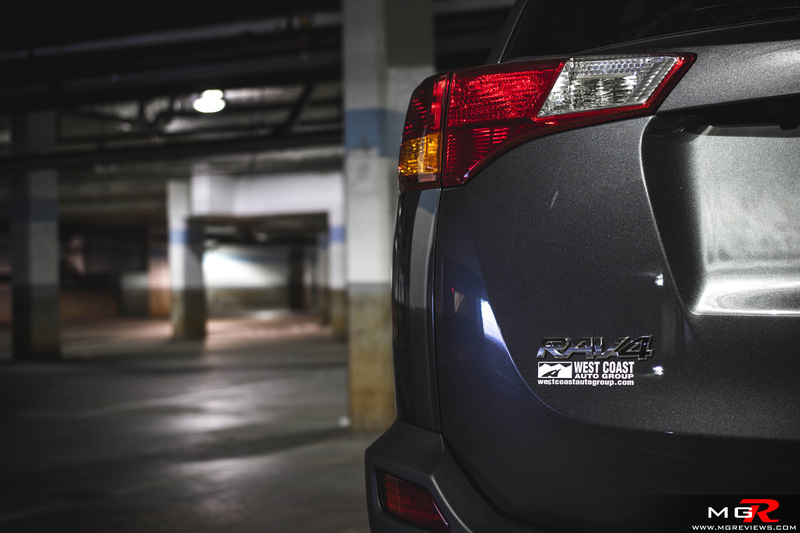 Prices for the Rav4 start at $23,870 CAD and can quickly climb up to over $35,000 CAD for the Limited AWD model. 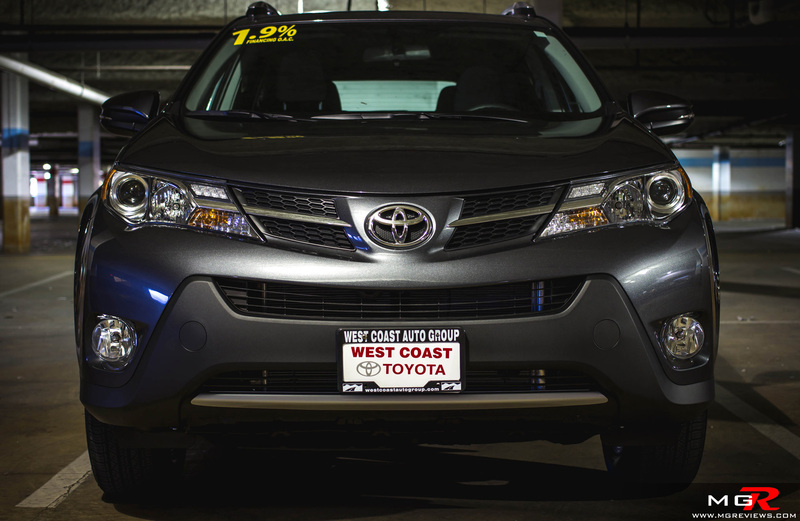 Odds and Ends – By far the biggest and most noticeable change over it’s predecessor is the bold new exterior styling. 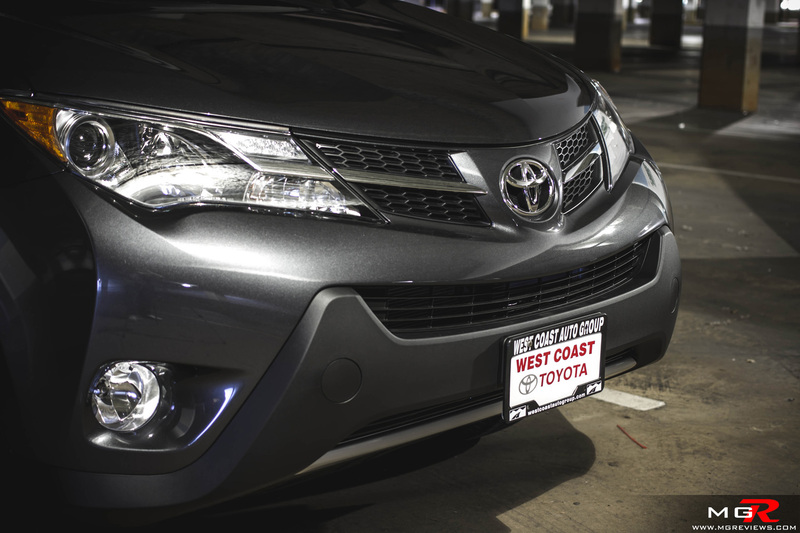 The new front grille has a bit of Venza DNA while the new projector headlights provide good night visibility. 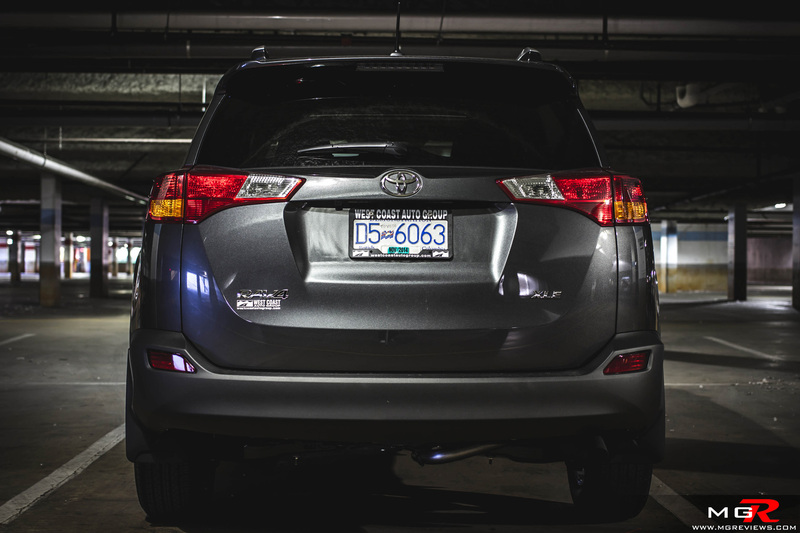 In side profile the Rav4 looks more streamline and the rear “3D” styled tail lights are a nice touch of modern design. 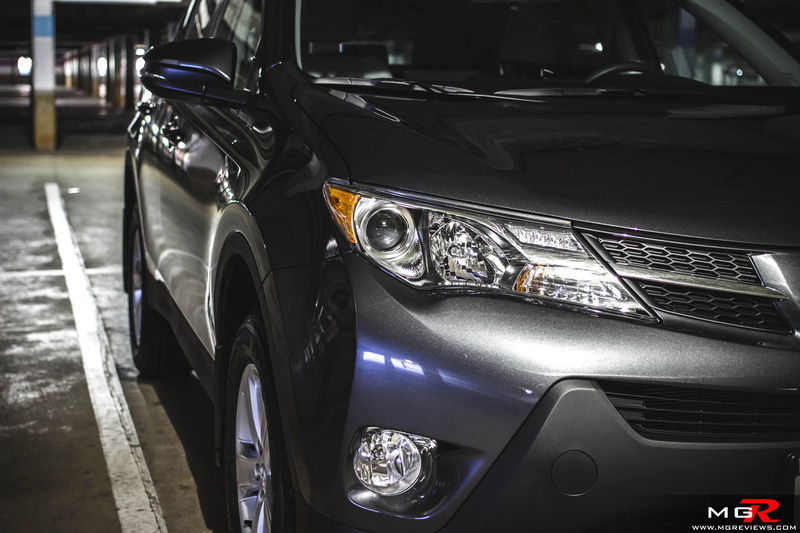 Although the Rav4 may not excel in one category or another over its competitors, it is a very well rounded small crossover that meets the needs of nearly all CUV shoppers.